IR radiation is simply light that we cannot see, which makes it great for communication. IR sources are all around us. The sun, light bulbs, or any anything with heat is very bright in the IR spectrum. 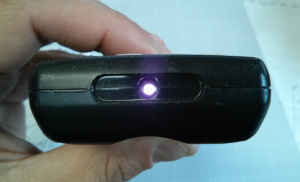 When you use your TV remote, an IR LED is used to transmit information to your TV. So, how does the IR receiver in your TV pick out signals from your remote among all of the ambient IR? The answer is that the IR signal is modulated. Modulating a signal is like assigning a pattern to your data, so that the receiver knows to listen. By controlling the spacing between the transmitted modulated signals, the waveform can be read by an input pin on a microcontroller and decoded as a serial bit stream. Below is conceptual view of how an IR transmitter receiver pair works. Thanks to SBProjects.com for the gif and excellent IR resource! An Arduino or other microcontroller can be connected to either end of the system to transmit data (left side) or receive data (right side). For the hardware in this tutorial, you will need the following materials. You may not need everything though depending on what you have. Add it to your cart, read through the guide, and adjust the cart as necessary. Note: In place of the IR remote control can also use any IR remote that uses 38kHz modulation. You will be setting up two separate circuits both using an Arduino. The first example circuit uses a TSOP382 IR photo sensor to receive and demodulate the IR signal from a common remote control. The second example circuit uses a 950nm IR LED and current limiting resistor to transmit IR codes to a common appliance, for example a home stereo or TV. Hardware setup for both of the examples. Be sure to connect your LED correctly! The long leg is positive and connects to the resistor, then to the Arduino’s output pin. The short leg is negative and is connected to ground (GND). Also, you cannot see IR LED light with your eyes, since IR radiation is outside of the visible spectrum. However, most cellphone cameras can detect short wave IR and can see the LED faintly glowing. When the LED is modulating at 38kHz, the LED should appear constantly lit, but dim. Also, pay attention to the polarity of the TSOP382. Refer to the TSOP382 datasheet for the pinout of the sensor. The current limiting resistor attached to the LED can have values down to 100Ω (40mA) for full power and longest range. 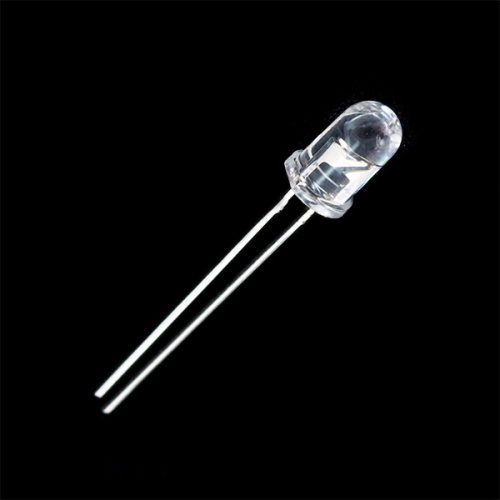 If you use a larger value resistor, the LED won't light as bright and your range will suffer. 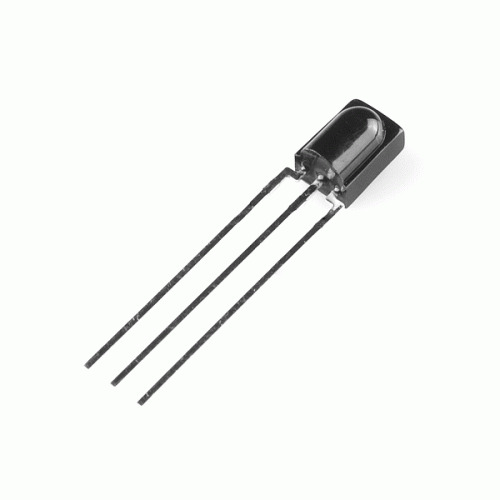 With a 330Ω resistor, you should be able to operate the IR LED across a dimly lit room. IR remote controls are as ubiquitous as their appliance counterparts. What if you could put all of those old remote controls to use in your next project? 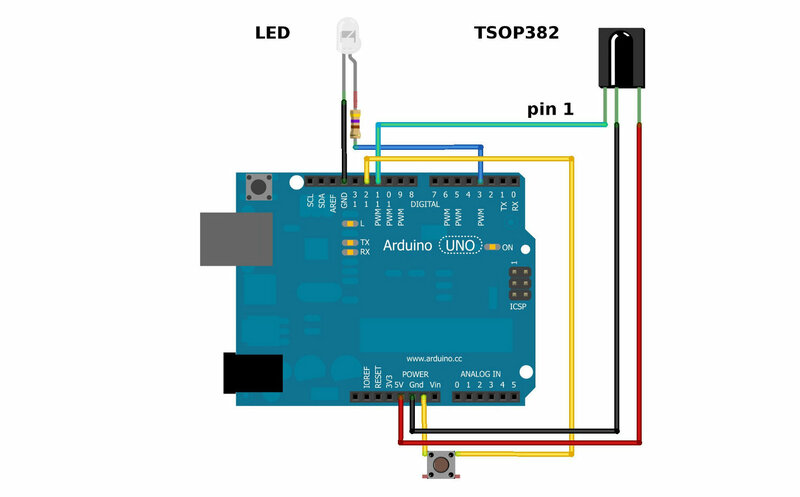 This example will show you how to read IR remote codes from any IR remote using the TSOP382 IR receiver and an Arduino. Once you can receive codes from individual button presses, your remote control and Arduino become a general purpose, short range, communication interface! 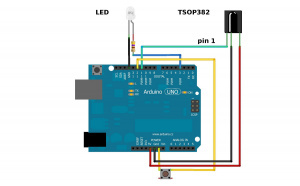 In this example, all you need is the TSOP382 IR receiver connected to an Arduino and a common remote control. The IR LED and button can stay connected, but you will not use it until the next example. Assuming that you have the IR library, go to your Arduino project directory: Arduino/libraries/IRremote/examples/IRrecvDemo and open the IRrecvDemo.ino. Upload the sketch to your Arduino. The sketch will automatically decode the type of remote you are using and identify which button on your remote is pressed. Open the serial port in the Arduino IDE at 9600 bps and hit different buttons on your remote. Terminal window displaying random button presses on my remote. Different buttons show different codes. In this example, your Arduino and an IR LED imitate an IR remote to control an appliance (TV, stereo, etc.). In order to control your appliance with the LED, you need to know what type of IR protocol your appliance uses. The easiest way to find this out is to have the remote that comes with the appliance. This example receives a remote key press with the TSOP382 IR receiver, copies the data, then sends it out of the IR LED. This example uses both the LED and TSOP382. Assuming that you have the IRremote library, go to your Arduino project directory: Arduino/libraries/IRremote/examples/IRrecord and open the IRrecord.ino. Upload the sketch to your Arduino. After you have loaded the sketch, open the Arduino serial monitor to 9600bps. Point your remote directly at the TSOP382 and hit a button. You should see specific codes in the terminal window, corresponding to the button you hit on the remote. Now if you point the LED at your appliance and hit the push button that is connected to your Arduino, the code for the button press on your remote will be sent. Once you know which codes correspond to each button, you can create your own remote with the Arduino and IR LED. For example, the transmitting IR example circuit received an unknown code when the volume up button on my Panasonic remote was hit. 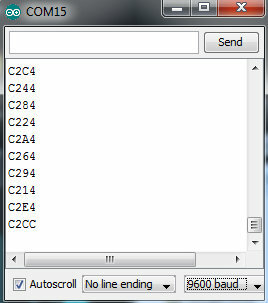 The data bytes on the second line are the raw codes displayed as mark and space timings for the volume up command. If you don’t have the appliance’s remote or if you are lucky enough to have a remote that uses a common protocol, then you can try the pre-loaded manufacturer codes from the IRSendDemo.ino example in the IRremote library. You will need to fill in the data and nbits fields with a information specific to the protocol you are using. More information on how use this feature can be found in the IR Arduino library blog post (see the "Details of the sending library" section).